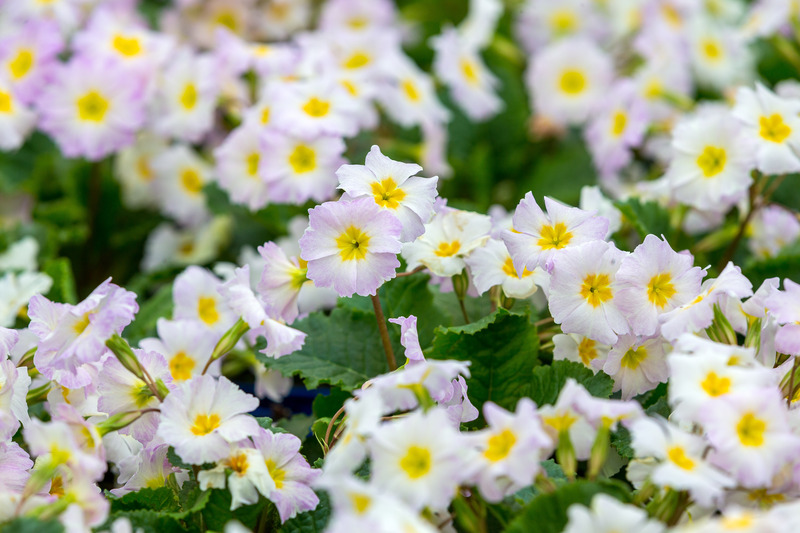 irishprimrose | This blog gives information on our unique Irish Primrose varieties and their history and uses. 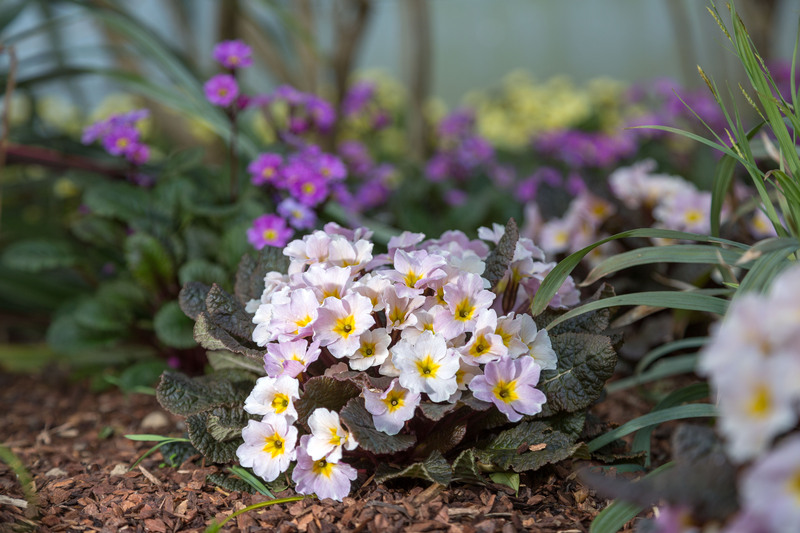 My involvement with Primroses started in fact right on the very embankment you have seen Carol leaning on admiring some early spring Primroses. This bank is part of an almost 2000 year old Celtic Ringfort or in Gaelic Rath, located on the family farm and literally beside our nursery. This location was a hive of activity back in the early part of the first millennium A.D and now long since deserted still remains with its mounds, sous-terrain, defense embankments very visible and crowded with wild primrose, cowslip, oxlip, bluebells and voilets all undisturbed. It has always been a superstition around here, you cant interfere with the Rath or bad luck will follow. This bad luck can come from many sources, evil fairies, the little people being among but a few of the sources. Best leave well enough alone and let it be don’t even remove and burn a stick from its area. It is in fact a protected monument so that in itself gives its structure strong protection for the future but enough on that. Within this area is a haven for primroses and where I got my first introduction to this plant day dreaming of what must have went on inside these Celtic circles all those years ago. 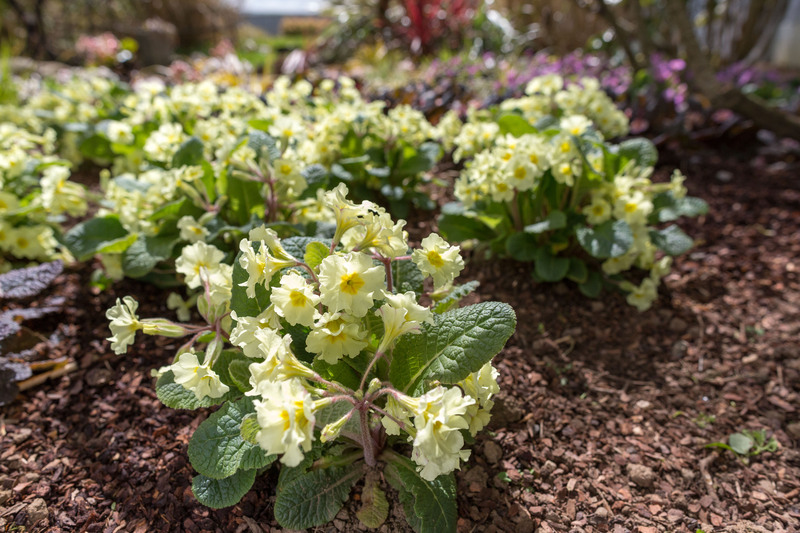 Having worked on many plant genera, species and varieties on the nursery the primrose came back into my consciousness over a few springs and then by pure chance while reading an article in the Irish Garden Plant society publication Morrea I came across this article by a primrose enthusiast called Joe Kennedy. Joe enthused about the value of the humble primrose, outlined some of its history in Ireland , detailed some of his work which I duly researched. I was convince something had to be done to bring some of Joes and dozens of past gardeners work back into public consciousness. I believe we have been living a deprived garden existence not having more of these old perennial forms of primrose proliferating in our gardens and the old authentic forms are being lost to just a fading memory being replaced by a totally different imnpression of what a primrose is. 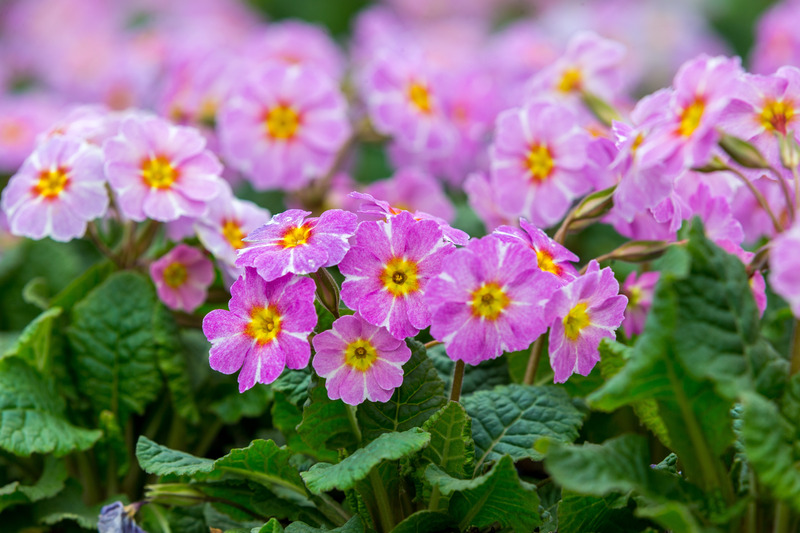 These true hardy perennial forms are what I like about the primrose. I cannot find it in myself to hate or demean any plant as much of it is down to taste, appetite for colour and right plant for right place. I just find these older style forms of primrose more to my liking than the more annual types available at the moment. I am in no way extreme about this opinion just how I like it just as I like my tea strong. 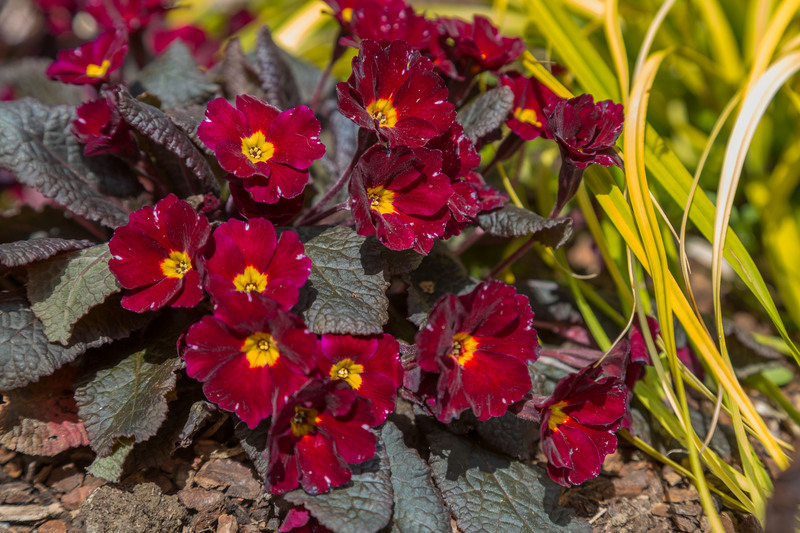 So with this in mind myself and Joe forged a friendship and working relationship to bring our form of primrose and passion for diversity and strong genetically hardy forms of perennials to the world. All that has gone on since with our the work on these “new from old” hybrids has been well documented here http://fitzgeraldnurseries.blogspot.ie. We continue to select from Joes breeding and back crossing a few into other old forms like Tipperary Purple, Kinlough Beauty, Lady Greer, Our Pat, and old forms, names not identified yet, to build up what I hope will be an outstanding collection of Irish bred hardy perennial primroses with dark foliage, jack-in-the-green flowers, jackanapes flowers, polyanthus type flowers ground hugging forms like the new Blarney Castle series and many other new looks. Of all the forms of Irish primrose to arise from this conservation and breeding the ones turning heads the most and now no doubt being introduced into other breeding lines around the world as we speak are the deep dark foliaged forms arising out of the old Garryard type originating near Nass Co, Kildare back in the early 20th Cenutry. From Joes decades of crossing, selections such as Innisfree, Drumcliff, Claddagh and more exciting selections to come have arisen. So our work continues and we hope to introduce some very exciting, attractive and unique selections over the next few decades if we are spared to do so. Now that we have shown to the world what has been hidden for all this time we can be selective in our work to do justice to these beautiful plants. Through further natural breeding and selection process we will hopefully bring forth some useful spring garden plants. I am glad to report after all the work since 2006 gardeners can now buy these plants in Europe, USA, Japan, Australia and New Zealand as local growers in these areas begin to adapt some of these tough perennials to their own production and garden environments. Reactions so far have been positive and the slow process of change in attitude to this humble plant is making progress to where I hope it is coming back to its rightful place as a true garden perennial and not just the annual type treatment it has got in recent decades.